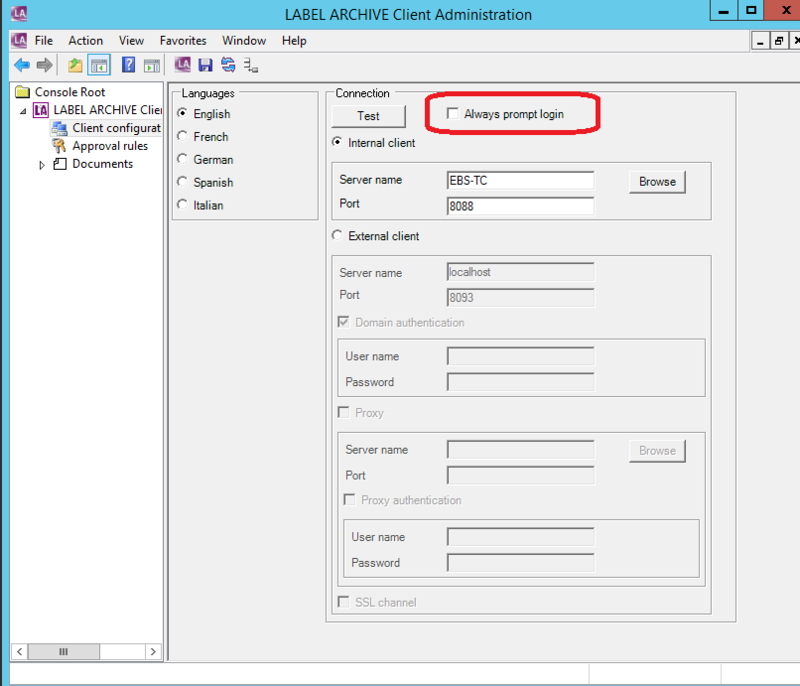 This article explains the cause of a LABEL ARCHIVE problem that prevents use of credentials. User is attempting to login to LABEL ARCHIVE from CODESOFT using UMSS credentials, but can only use Windows authentication. The reason why the user is unable to log in using UMSS credentials is that LABEL ARCHIVE is currently configured to only use Windows authentication. The system, however, can be set to always prompt user to enter login information.